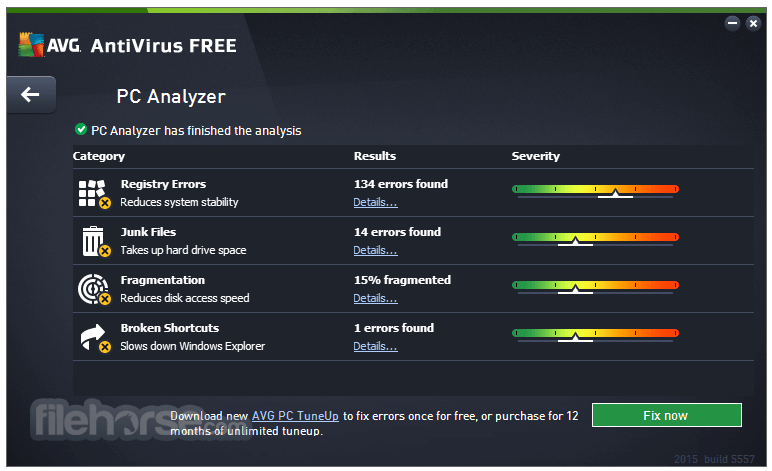 AVG AntiVirus Free is an Anti-Virus program which is absolutely free for non-commercial use for the life of the product. Created from the ground up to provide every Windows user brilliant protection during surfing, social networking and exchanging data with other people using portable USB storage devices. AVG AntiVirus Free is quality Anti-Virus proven by over 200 million of users, who have used this software suite and the accompanying cloud services to protect PCs, Macs, mobile phones and tablets against any kind of online threat. It even has integrated anti-theft tools that will enable you to locate your stolen hardware. 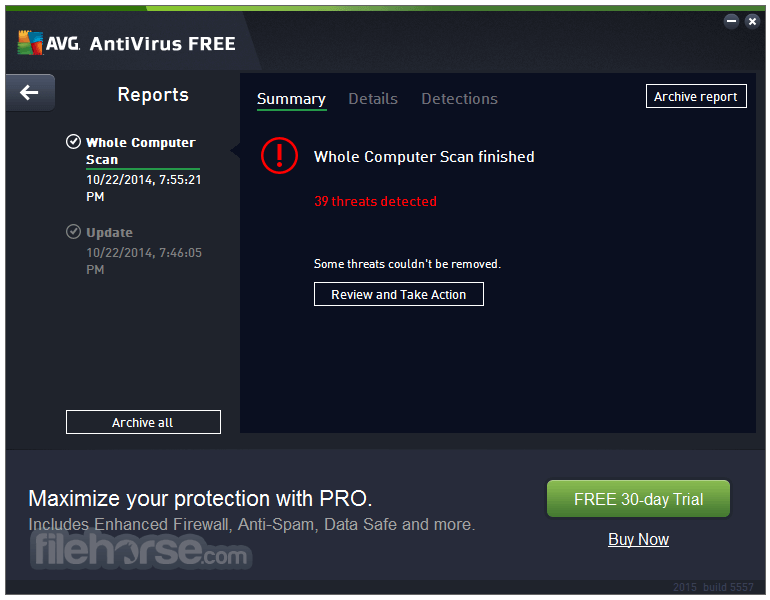 It continues to deliver essential free antivirus protection with the launch of the software. 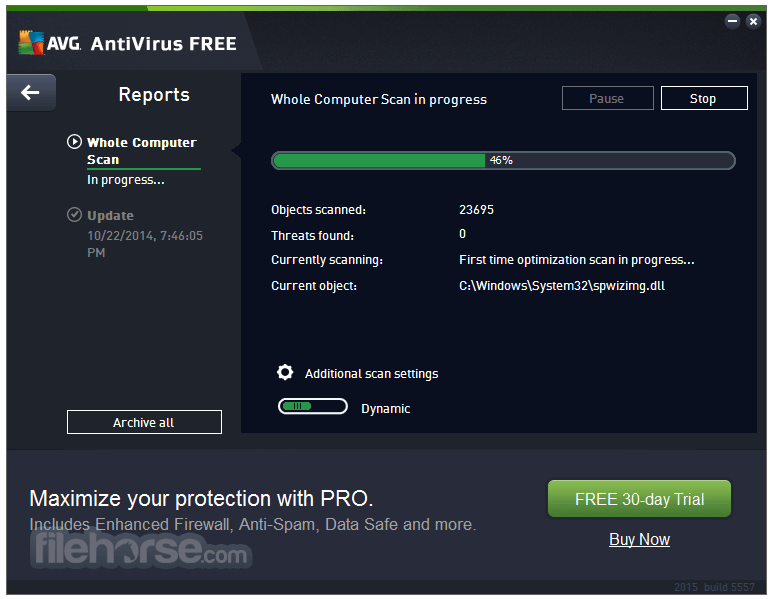 It goes beyond simply detecting and removing viruses on your PC by blocking infected links as you browse, checking files before they're downloaded, and helping protect your personal data online and on your PC with enhanced privacy features. It has improved core engine and its accuracy, and included a new cloud-based detection method. 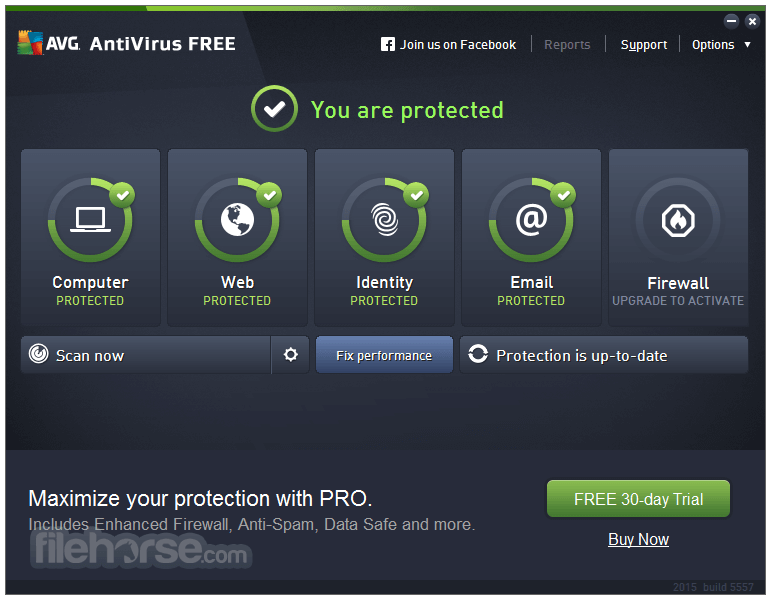 And because security is just as important as usability, AntiVirus Free features a revamped, easier-to-use design. Files are checked before you download them without you having to do a thing. The program will also protect you when exchanging files through popular instant messaging like MSN and Yahoo. You want to search and surf, but you don’t ever want to go to any infected websites. It helps you out by clearly alerting you to threats and keeping you clear of them. With AVG Free protecting your system, you can chat and message your friends on Facebook and other social networks in the knowledge that each web page and link is checked for safety. You won’t pick up a malicious link from your friends - and you won’t send one either! It understands the need to stay safely connected to the web no matter your geographical location or time of day - our mission is to provide ongoing peace of mind on a 24/7 basis.